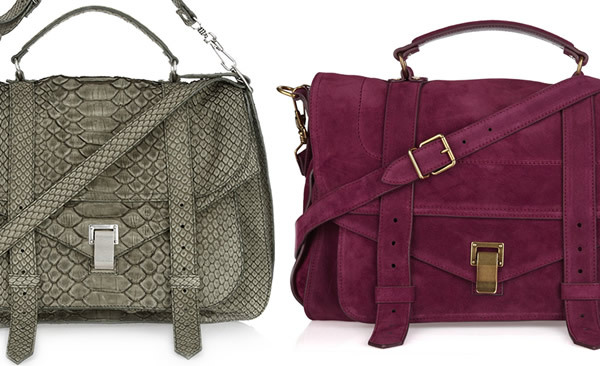 From a gorgeous wine hued suede to a luxurious brushed python, I find myself yearning for each of these bags. My coveted Crocodile PS1 is one of the most amazing bags I have ever owned and the exotic skin is of the highest quality. 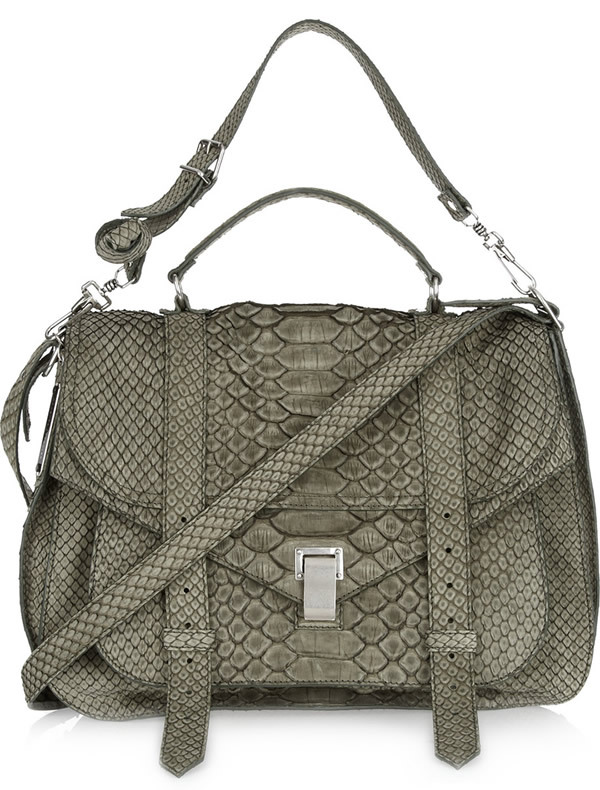 Certainly the quality of the extra large brushed-python satchel will be superb as well, and I imagine the duo behind Proenza were able to make python skin both look and feel soft. Price will be $5250. And then we have the classic large PS1 suede satchel in a rich red hue. 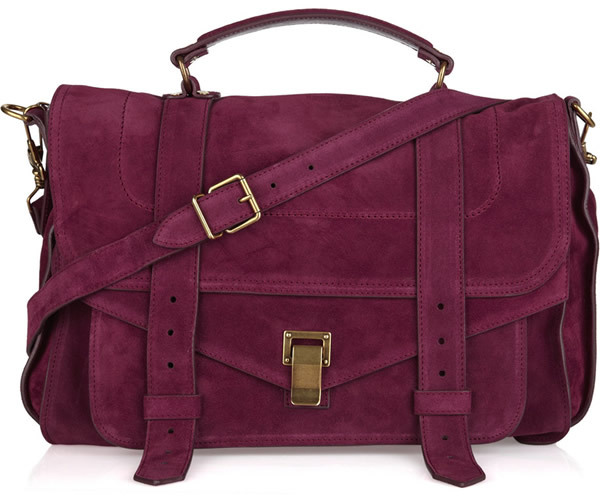 If you have been looking for a fall messenger bag in a color that is both wearable and alluring, this is an amazing choice. Price will be $1995. Shop Proenza Schouler bags via Net-A-Porter.